There are many things you need to go online and start selling, at least selling successfully. The problem with the average entrepreneur is that they have skills and knowledge about the products they plan to sell, but they are not knowledgeable about how to create a website that will function and serve as a good platform to sell product. The good news is that everything you need to start your eCommerce business is available as a single package. There are companies that offer all of this, and still allow you to customize everything so that your store stands out as unique on the Internet. The following is a quick overview of the benefits of an eCommerce package. There are templates available that you can choose from, and with many companies, there are hundreds to choose from. Each of these templates can be customized in hundreds of different ways, so the final website that you have created will look different from all of the other websites on the Internet. These websites are also easy to build. Most of what you are doing is point and click with a mouse or using your finger on the touch pad on your laptop. There are some text that needs to be typed in, but this isn’t a lot. Your new website can be created quickly. The big problem is simply deciding on what you want: the colors, fonts, layout, etc. Once you have your website ready, it is quick and easy to upload your products in a database file format. There is also the option of creating product pages one at a time. This is attractive if you only have a few products that your are selling. Your product listings can also include photos and other images that will help you make a sale. Integrating a payment system with a website, even an eCommerce site, is time consuming, and it also takes skill. If you have never done this before, you will need to spend a lot of your time figuring out exactly how to do it. If you purchase a complete eCommerce package, the payment processing capability is already built into your website. Just like building your initial website from a template, payment processing is simple as point and click. There are also companies that will allow you to accept more than one type of payment method. This can be valuable because the more options you have for payment, the more sales you will make. 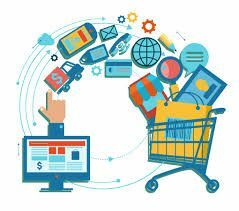 If you have ever tried to integrate a shopping cart with an existing website to convert the website into an eCommerce site, then you know how frustrating and time consuming it can be. However, the shopping cart function is already a part of the website you have built. Your customer will be able to select the products they want to buy and go to checkout when they are ready to pay. The whole process is easy and smooth. An online store builder for an eCommerce business is a complete package that will solve all of your needs. It will also prevent a host of problems you will have when attempting to do all of this work yourself. You can quickly be up and running, so you can focus your efforts on selling your products and not trying to be a website builder.